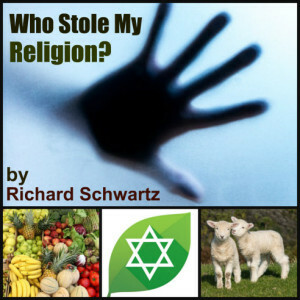 New edition “Who Stole My Religion? 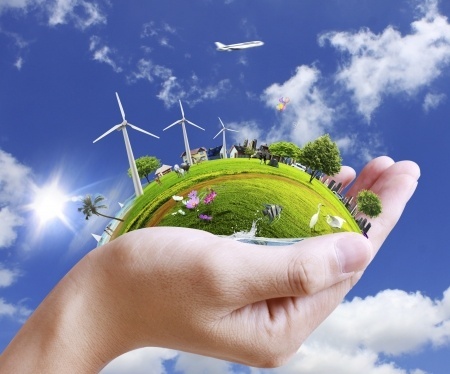 Revitalizing Judaism and Applying Jewish Values to Help Heal Our Imperiled Planet, by Richard Schwartz (written with Rabbi Yonassan Gershom and Rabbi Dr. Shmuly Yanklowitz). Interview conducted by Charles Patterson, author of Eternal Treblinka. Charles Patterson: Who stole your religion? Richard Schwartz: I have been a member of an Orthodox community for almost 50 years. I have found the members of this community to excel in acts of kindness, charity, and learning. Their dedication to Judaism is outstanding. However, they are generally in denial about vegan diets and climate change and other environmental threats and are increasingly supporting politicians who promote benefits for the wealthiest Americans and highly profitable corporations, at the expense of average Americans. While a strong majority of Jews support progressive policies, a strong majority of Orthodox Jews are conservative and hawkish. While Orthodox Jews generally know far more about Judaism than less religious and secular Jews, they are far less involved in applying Jewish values to today’s critical threats, at a time when this involvement is very much needed. Also, Orthodox Jews, like most Jews are ignoring or downplaying Jewish teachings on veganism, the proper treatment of animals, and environmental stewardship. For these reasons and others discussed in my book, I think my religion has been stolen and primarily by the Orthodox Jewish community. I make this criticism reluctantly because so many Orthodox Jews are doing wonderful things, but feel that I must do so because the future of Judaism and humanity is at stake. CP: What did they steal? RS: They have stolen to a significant extent the potential for Jews to be a ‘light unto the nations” in showing how Jewish values can make a significant difference in addressing today’s critical problems. While living lives commendably observing Jewish ritual laws and acting with great compassion and sensitivity within their communities, they are generally overlooking the mandate to apply tikkun olam, the mandate to heal and repair the world, at a time when this is perhaps needed more than ever before. CP: You suggest that Judaism isn’t living up to its full potential. What Jewish values most need to be recovered and emphasized? · You shall be holy, for I, the Lord your God am holy (Leviticus 19:2). CP: What are the world’s most pressing problems that Jewish values need to address? These and other serious problems indicate that the world today is threatened as perhaps never before, and Judaism and other religions should make it a priority to apply their ethical teachings to address them, in order to help leave a decent world for future generations. CP: You say you want your book to be “a wake-up call”? Explain. RS: It has been said that “denial is not just a river in Egypt.” It seems that most people are in denial, in effect ‘rearranging the deck chairs on the Titanic while the world heads toward a giant iceberg.” I want my book to be a challenging wake-up call, to ring out like a shofer, trying to awaken people to the urgency of applying Judaism’s wonderful values in response to current crises. CP: Why did you write this book? What are some of its main points? 3. Jews, especially Orthodox Jews, are not doing enough to apply Jewish values in response to today’s critical issues, despite Jewish mandates to pursue justice and peace, be kind to strangers, practice kindness and compassion, etc. 4. Hence, my book aims to be a wake-up call to Jews and others to take their religion seriously to the urgency of addressing today’s threats. 4. There should be a global Marshall-type plan, in which the U.S. and other developed nations devote a small percent of their income to efforts to reduce poverty, hunger. This can help improve the image of the U.S. and other countries, including Israel, and potentially help reduce terrorism and other violence. 5. Israel needs a comprehensive, sustainable, just resolution of her conflict with the Palestinians, in order to avert continued and possibly increased violence and increased diplomatic criticism and isolation, respond effectively to her economic, environmental, and other domestic problems, and remain both a Jewish and a democratic state. This is also the view of many Israeli strategic and military experts. CP: Who is your potential audience? RS: My book is intended for: Jews who look to Judaism for moral and spiritual guidance, but who find that contemporary interpretations of our faith and traditions do not address the pressing issues of today; for Jews who are seeking a Judaism that will make a difference in responding to the crises of today and will help guide humanity in directions that can bring a more just, compassionate, peaceful, and environmentally sustainable future for generations to come; and for Jews who recognize that the Jewish calling to be a light unto the nations gives them a special responsibility to live in ways that benefit all of God’s creation. And, since other religions have similar problems and concerns, I believe that many non-Jews will also find this book interesting, challenging, informative, and valuable. In addition, there are many subgroups that would find particular sections of the book of interest. These include people interested in vegetarianism and veganism, animal rights, environmental sustainability, socialism, terrorism, foreign policy, Islamophobia, Israel, and Jewish values. CP: Are you concerned that, along with your praise of Judaism, the positive actions of many Jews, and Israel, your criticism will fuel anti Semitism even more than at present? 2. The book extols Jews for acts of kindness, compassion, and charity, argues that Judaism is a radical religion, in the best sense of the term, and also has high praise for Israel, while arguing for a two-state solution. 3. If Israel contributes to the Global Marshall-type plan to reduce poverty, hunger, illiteracy, disease, and other social ills that my book advocates, it would likely improve Israel’s image and reduce anti-Semitism.